As seen in the new “The Fate of the Furious” movie, the Rhino XT is an all-terrain SUV “inspired by both the past and the future,” according to its creator, US Specialty Vehicles. This heavily-modified Jeep Wrangler is currently in production to begin making deliveries to customers. The former four door Jeep Wrangler was bought by US Specialty Vehicles, who takes production vehicles to strip and redesign them. The first Rhino XT was used as a prototype in “The Fate of the Furious” and gained popularity due to its rugged yet modern appeal. 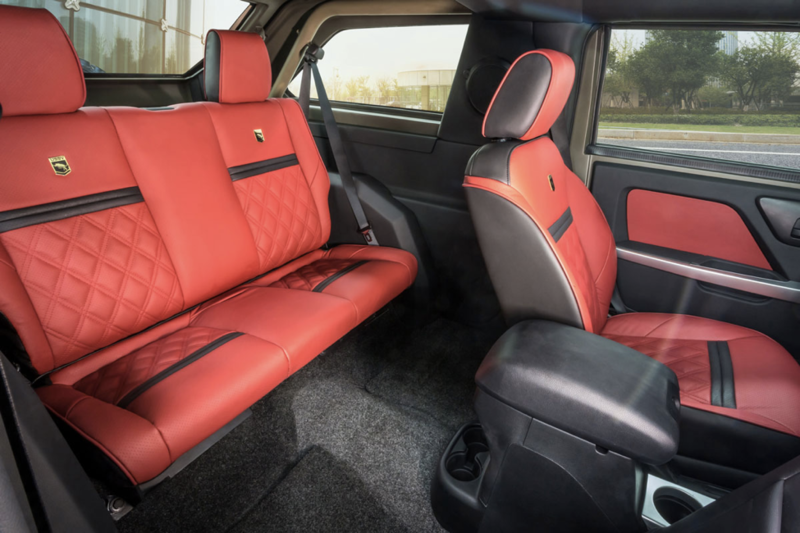 The two door Rhino XT seats four passengers in a luxurious interior that is customizable. Premium Napa reclining leather seats and a European style dashboard with a 9-inch touch screen comes standard in the XT. 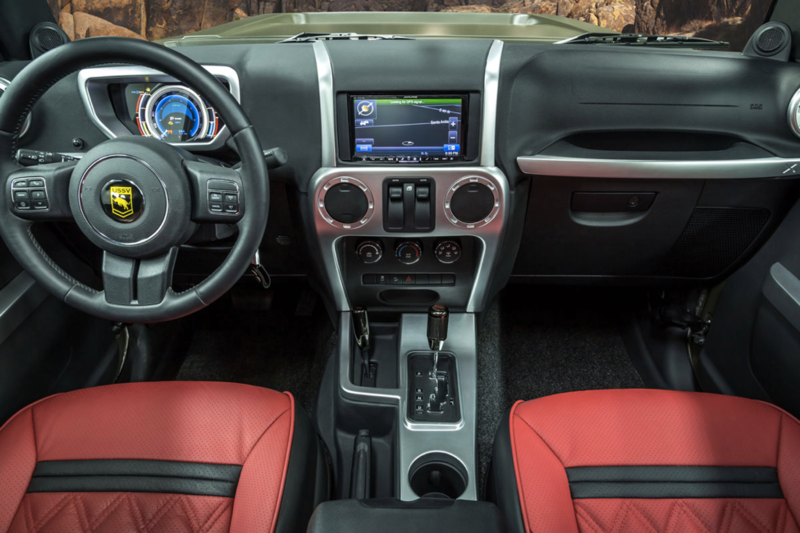 Alpine’s Ultimate Jeep Wrangler upgraded sound system is featured for premium audio quality as well as Bluetooth wireless technology for added convenience. The ultra-versatile SUV has removable fender flares that allow drivers to transform their Rhino XT from a comfortable on-road vehicle to full off-road functionality. 35 inch Open Country A/T All-Terrain tires and 4WD give the XT exceptional handling and traction on off road conditions. US Specialty Vehicles upgraded the motor to a supercharged V6 with spring tech supercharger to support the bigger tires. Although the V6 motor comes standard in the XT, a Hellcat motor can replace it, increasing its horsepower to over 700. Additionally, the Rhino XT has 4-wheel disc brakes with hydraulic assist brake booster and a 3.6-Liter V 24-Valve VVT engine to increase performance and capabilities. The rugged Rhino XT has a 6-speed manual transmission and an option for 5-speed automatic transmission. Power heated mirrors, rear folding bench seat, and remote keyless entry come standard as well. The Rhino XT has a 22.5-gallon fuel tank. It also has two tow hooks on the front and rear for substantial off road performance. Buyers will use the XT for both off road power and traditional SUV use. This impressive car has a military off road look, but is both luxurious and practical, appealing to all types of prospective buyers. The Rhino XT ranges in price from $80,735 with a V6 engine to $157,000 with a hellcat motor.